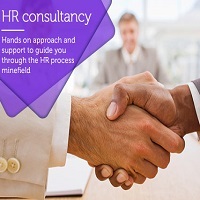 Epsilon Consultant, based in Vadodara (Gujarat, India), is a placement firm providing trustworthy HR consultancy to the organizations. We cater to all types of companies ranging from startups to multi-national firms. We find suitable candidates for these firms to help them in filling all the job vacancies at their offices. Besides, once you hire us, we would be responsible for managing the payroll, salary/ leave structure preparation, Legal & statutory compliance, etc. of your company. So, rely on us for diverse procedures and hire us now!